Wagner, K. K., Zanoni, M., Elliott, A., Wagner, P. W., Byrne, R., Florea, L., Diamond, D., Gordon, K., Wallace, G. G. & Officer, D. L. (2013). 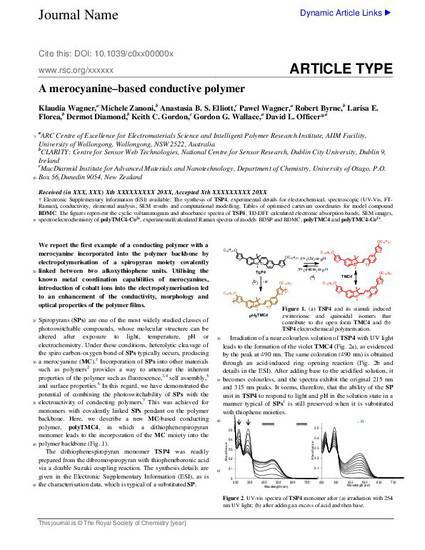 A merocyanine-based conductive polymer. Journal Of Materials Chemistry C, 1 (25), 3913-3916.